Germans cancel parade due to terror threat; honest debate on Islamic State still verboten in U.S. Things are nicht so gut for Western Civilization these days. Paris suffered the Charlie Hebdo and kosher deli terror attacks in January, and on Saturday it was Denmark facing terror attacks at a cafe and a synagogue that left two dead and multiple people injured. A popular German festival was canceled today because a “man-caused disaster” (to borrow a phrase from the Obama administration), was expected. BERLIN (AP) — Police in the German city of Braunschweig cancelled a popular Carnival street parade on Sunday because of fears of an imminent Islamist terror attack. Police spokesman Thomas Geese said police received credible information that there was a “concrete threat of an attack with an Islamist background” on Sunday’s parade and therefore called on all visitors to stay at home. Braunschweig’s Carnival parade is the biggest one in northern Germany and draws around 250,000 visitors each year. News of this planned act of terrorism comes only days after the Obama administration tried to say that an attack on a kosher deli was a “random” event that wasn’t targeting Jews, per se. Reporter: Does the administration believe that this was an anti-Jewish — an attack on the Jewish community in Paris? Jen Psaki: I don’t think we’re going to speak on behalf of French authorities and what they believe was the situation at play here. Reporter: If a guy goes into a kosher market and shoots it up he’s not looking for Buddhists, is he? […] I’m not sure I can understand how it is that you can’t say that this was a targeted attack. Jen Psaki: I just don’t have more for you, Matt. It’s an issue for the French government to address. Will the Obama administration say the synagogue attack was a “randomly” picked location that didn’t target Jews because five potentially non-Jewish police officers were wounded? Will the president go into an expanded lecture about the need to keep the Crusades in mind as we discuss who exactly threatened Berlin’s Braunschweig’s Carnival parade? Although there is little or no public evidence that the Islamic State’s leaders in Syria and Iraq have practical control over its North African provinces, its influence is already apparent in their operations and is destabilizing the countries around them. 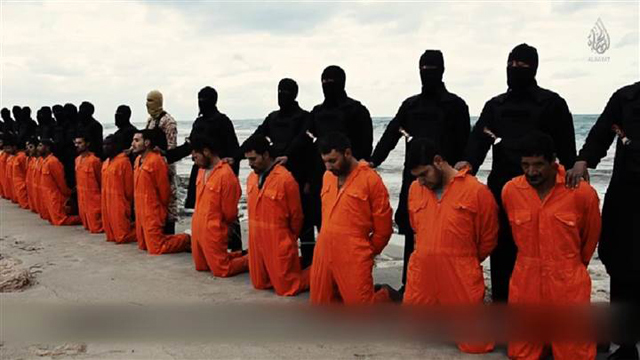 A publication released by the central group last week included a photograph of fighters in Libya with its affiliate there parading 20 Egyptian Christian captives in the Islamic State’s trademark orange jumpsuits, indicating at least a degree of communication. In Egypt, the Sinai-based extremist group Ansar Beit al-Maqdis sent emissaries to the Islamic State in Syria last year to seek financial support, weapons and tactical advice, as well as the publicity and recruiting advantages that might come with the Islamic State name, according to Western officials briefed on classified intelligence reports. The U.S. Embassy in Libya — closed. The U.S. Embassy in Syria — closed. The U.S. Embassy in Yemen — closed. Notice a trend? The Obama administration is like a bunch of high school kids who destroyed a portion of the family home while their parents were gone for a college reunion. When mom and dad call to check in, the kids say everything is all right. Then, after the discussion, they frantically resume trying to fix the disaster in time to pretend like nothing wrong ever happened. The problem with that strategy is that it almost never works. Honesty is the best policy. 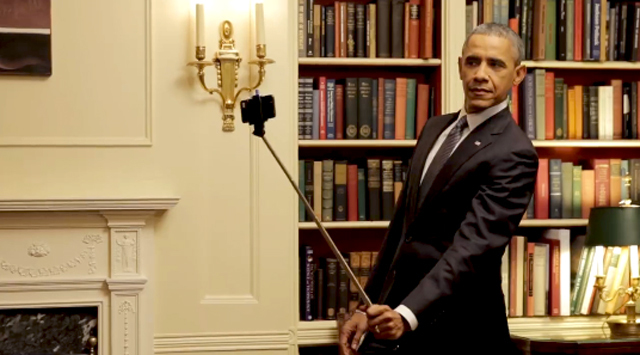 Unfortunately, Mr. Obama has opted for Buzzfeed selfie-stick health care videos and lectures on “terrible deeds” in the name of Christ instead of a frank discussion on the long-term security threats facing the nation. Update: While writing this piece it turns out that Islamic State group beheaded 21 Christians in Libya and posted video of it online. How long will it take before President Obama reminds us that the Crusades were brutal? Previous Entry Scientists, U.S. government: Did we say eggs were bad for you — for decades? Oops! Sorry. I guess since they killed Christians the current admin does not care. I do not understand why he turns a blind eye to this behavior. Statement by the Press Secretary on the Murder of Egyptian Citizens: The United States condemns the despicable and cowardly murder of twenty-one Egyptian citizens in Libya by ISIL-affiliated terrorists. We offer our condolences to the families of the victims and our support to the Egyptian government and people as they grieve for their fellow citizens. ISIL’s barbarity knows no bounds. It is unconstrained by faith, sect, or ethnicity. This wanton killing of innocents is just the most recent of the many vicious acts perpetrated by ISIL-affiliated terrorists against the people of the region, including the murders of dozens of Egyptian soldiers in the Sinai, which only further galvanizes the international community to unite against ISIL.